Working with builders, investors, estate agents and private buyers InspectaHomeSpain have been providing new property inspections, more commonly known as snagging reports, in the Costa Blanca, Costa Calida, & Costa Almeria areas and have inspected more than 400 properties and identified over 30,000 individual snagging defects. So what does snagging find? 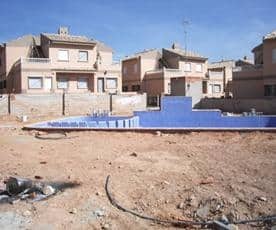 An estimated 40%+ of new houses in the UK are professionally snagged, in Spain, less than 3% of new builds are checked by a professional inspector which is surprising given the Spanish system for house completion . A typical three-bedroom, two-bathroom house will have more than 650 different points to check in the building and its surroundings and InspectaHomeSpain analysis has found an average of 74 defects per property based on inspections carried out . This process is not the same as a ‘survey’ which consists of checking the underlying structure of the building and its foundations. Snagging checks that the building is fit for habitation and fits its specification, being as near to perfect as practically possible. Will my property be ready and complete? 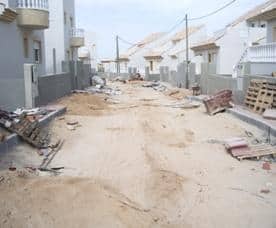 Out of the 350 properties only 11 or 3% of all properties inspected had been issued with their Cédula de habitabilidad o licencia de primera ocupación. It is common practice to complete on the property prior to the certificate being issued but buyers should be aware that there are no guarantees that the certificate will be issued and that builders supplies will be maintained to the properties. 87 owners of properties that were still on builders supply have had supply problems such as low pressure water, power surges and low voltage supply, especially at times of peak use. Lawyers that were asked by InspectaHomeSpain advised not to complete until The Certificate OF Habitation document had been issued. With inspection reports documenting more than 30,000 individual defects. One major area for problems is bathrooms and kitchens and in Spanish properties large areas are often tiled and this is the where the largest number snagging faults are found The DIY snagger can arrive poorly equipped to carry out the inspection and not realise that services such as water & electricity may not be available to carry out a detailed inspection. You need good inspection lights and a spirit level to check the quality of tiling. Second and third years: Over the next two years, the builder is still responsible for repairing major defects that would make the property inhabitable. This could be anything from a boiler malfunctioning (no heat or hot water is considered to make a property uninhabitable) to burst pipes (no water) or other factors affecting the proper enjoyment of the property such as defective roofs, ill-fitting doors and windows. First ten years: The builder must take out seguro decenal insurance. This is a ten-year insurance policy that guarantees the costs of repair in the event of a structural failure in the building. If you have any doubts about your property as it ages, it is important to have an inspection done prior to any deadline so any defects or faults can be registered with the builder. Failure to do so will mean you are not covered by any protection. Before completion, it is important you check that your builder has the statutory, minimum insurance in place covering your building. The information that has been used for this report has been collected from reports commissioned by buyers and carried out by InspectaHomeSpain in the Costa Blanca, Costa Calida and Costa Almeria areas. The copyright and all trademarks or other material on this article are owned by InspectaHomeSpain All rights reserved. You are responsible for complying with all applicable copyright laws. We permit you to make copies of this article as necessary incidental acts during your viewing and you may take a print for your personal use of so much of the site as is reasonable for private purposes.